For several months, the ‘Stainless Steel - 100 Years Not Out!’ campaign run by the British Stainless Steel Association (BSSA) has been highlighting the many ways in which modern life is dependent on the strong, versatile metal. The campaign was started to celebrate the centenary of stainless steel’s discovery and will continue throughout the year; some of the most recent applications selected are detailed below. In many industrial processes, a large amount of heat is used and/or generated. These processes include power generation, production of materials and incineration of waste. As operating temperatures can reach up to 1200°C, metal used in construction must be strongly resistant to heat and must also withstand a range of conditions such as oxidisation and corrosion. As stainless steel functions perfectly at high temperatures and has a passive chromium-oxide layer to resist corrosion, it is often the metal of choice for furnace linings, vacuum chambers and gas burners. Stainless steel has played a major part in the creation of the International Thermonuclear Experimental Reactor (ITER), a project designed to create sustainable energy for the future. Many thousands of tonnes of stainless steel, mostly grade 316, has been used to construct a huge vessel with a donut shape, inside which tritium and deuterium plasmas will react together at a working temperature of over 150million°C. If the process is successful, the machine will produce up to 10 times more energy than was originally used to begin the reaction, providing an effective source of power; the first electricity is predicted to be produced in around 2040. Also used extensively in architecture, stainless steel featured heavily in the construction of the Olympic Cauldron, an impressive structure used as part of the London Olympics Opening Ceremony last year. The sculpture was composed of copper petals, each representing a competing country, that created the exciting visual display. 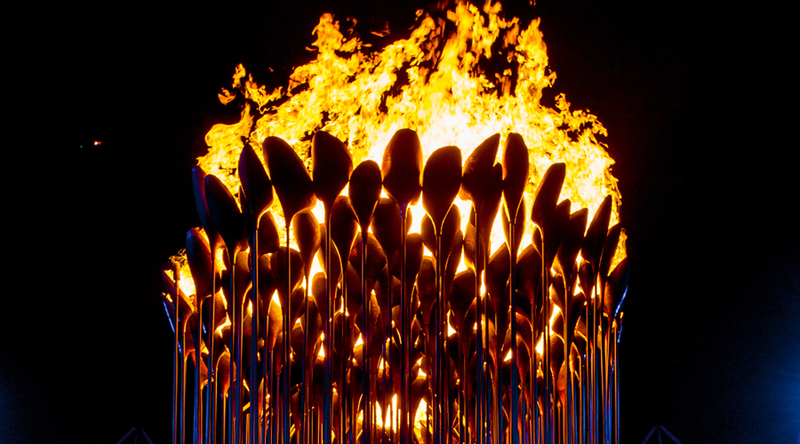 Much less visible though also the foundation of the piece were 205 stainless steel bars which supported the petals and were chosen by designer Thomas Heatherwick for their strength and resistance to the heat created by the Olympic flame. We will share more of our favourite applications from this absorbing series in the following weeks. Please check back regularly for updates or subscribe to our newsletter in order to never miss anything from BS Stainless - your partner for stainless steel. Contact our expert team on +44 (0)1772 337555 or email us at info@bsstainless.co.uk.